What are Patch Cable and Passive Couplers ? What is a Patch Cable ? If your phone has an antenna socket (port) to plug in an external antenna then this is the best way to improve your phones reception. Likewise, many 3g/4G modems have an antenna socket for an external antenna. 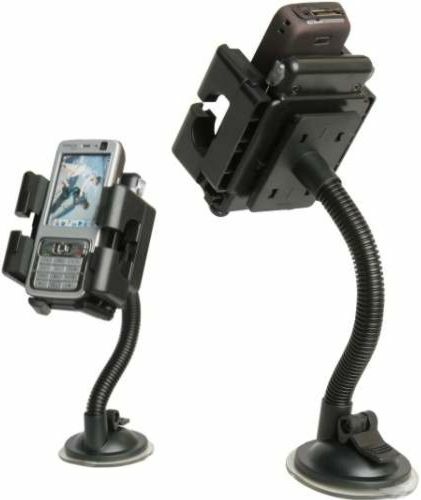 You can still use a passive cradle in situations, such as motor vehicles, where the phone will be moved often. Mobile phone external-antenna connectors can differ for every make and model. Each of the patch leads (patch cables) have been tailored to suit and tested with particular mobile phones. Does my phone have an external antenna connection? Most smart-phones like the iPhone, have no antenna connection and require a passive patch cable or cradle. By using a Bluetooth earpiece or hands-free system, your phone can stay connected to the external antenna or mounted in its cradle while allowing you to move about while making calls. With increased number of cell-towers covering more area than ever before, mobile phone manufacturers are not including a direct antenna connection socket in the design of their phone. This is unfortunate for Australian customers given the nature of wide-brown-land where cell towers can be few and far-between in many rural locations. Some handsets like the Samsung smartphones incorporate a test port for antenna connection during servicing and we have patch leads available to connect to these. These test ports are accessed by removing the rear battery cover, requiring a hole to be drilled for the patch lead connection. Patch leads which physically plug into the phone or modem will greatly out-perform a passive patch adaptor or passive cradle, as the signal loss by direct connection to the mobile phone handset antenna is much less. Many Telstra-ZTE phones have a socket specifically designed for connection of an external antennas. If your phone has an antenna socket (port) to plug in an external antenna then this is the best way to improve your phones reception. You can still use a passive cradle in situations, such as motor vehicles, where the phone will be moved often. 3G & 4G Modems come with a number of different Antenna Socket types. Sierra Wireless modems generally use TS9 or SMA female, ZTE Phones use a variety of phone-specific connector types and ZTE Modems, with a few exceptions have TS9 sockets. Huawei mostly has CRC9 type connectors. Older Netcomm Router/Modems used SMA connectors with some of the newer models using a connector similar to the MS-147 standard. If your phone doesn't have an external antenna port then you have no choice but to use a passive coupler to improve reception. A cradle is the best passive option, either specifically designed for a particular phone or of universal type suitable for use with many phone models. Instead of a direct connector, they couple the GSM/3G/4G phone signal by electromagnetic induction allowing the signal to travel from the cradle pad to the phones internal antenna. Signal loss in this type of connection will be about 4-6dB for a universal cradle and about 3-4dB for model specific cradles. If your phone doesn't have an antenna port and no cradle is available for it, you can still improve signal by using a passive pad type patch lead. Like the cradles, a passive-pad type patch lead has a small pad containing a coil of wire and uses the principle of electromagnetic induction to bridge the incoming signal from the pad to the phones internal antenna. Signal loss using a universal passive patch lead is about 4-6dB. The actual performance will depend on where the phones internal antenna is located and how closely the patch adaptor is coupled once installed on the phone. Given the ever-changing technology and low cost of high spec modems these days, we don't recommend using a Passive Coupler with a modem. Better to update your modem instead. How well do passive patch leads and cradles work? Placed correctly, you can minimise the signal lost during induction. Expect the equivalent of one bar signal loss by using a passive patch lead over a direct connection. As a rule of thumb, 1 bar of signal indication relates to about 3dB of signal strength. Thus, a 6dBi antenna coupled using a passive lead would give about the same signal improvement as a 3dBi antenna when using a direct antenna connection cable. Despite this loss, much signal quality improvement can be gained even from a passively coupled 4dBi or 6dBi antenna by having the antenna mounted externally to the building or vehicle. As a guideline, use an antenna of at least 5dBi gain when using a passive patch lead to overcome this system loss. The passive patch pad must be as close as possible to the phones internal antenna to achieve best results. The longest side of the pad should be placed length-ways along side the phones antenna. Each model of mobile phone will have its internal antenna located differently. We recommend you do some web research for a technical manual or youtube example of where to locate the pad. You can also locate the best position by trial and error. When testing signal strength, be sure to allow time for the signal strength meter to update, or refresh the connection by turning airport mode off then on again. How much signal is lost in the Patch Cable, Passive Coupler or Cradle? * Based on estimates for connector loss, cable loss and connector quality. ** Varies with band, device model and mounting position. My modem has two antenna connections, do I need to connect both ? Why are there two antenna sockets on my modem? When connecting a Single Antenna System to a mobile broadband modem you only need one Patch Lead. Plug the single antenna lead into the modem's MAIN Antenna Port, often marked #1. Some late model modems auto-sense the external antenna and some such as the B315 require manual selection via the web interface. If installing a MiMo (Multiple Input Multiple Output) antenna system it will have two coax cables. Both should be plugged into the two antenna connectors of your modem. It does not matter which cable is connected to which modem port as the modem will automatically take care of the connection. A MiMo antenna consists of two antennas, one polarised at -45° and the other at +45° from vertical. A MiMo antenna is required to achieve the higher 4G/5G data speeds. Australian MBB services use X-polarised MiMo antennas consisting of 2x antennas with 2x coax cables and thus 2x patch leads connecting to each of the two modem antenna ports. Do you have 2-into-1 Patch Leads? - We don't want to be responsible for damaging your modem. - The signal strength and speed performance of your modem will be poor. These 2-into-1 patch leads are a gimmick and should never ever be used. - No RF isolation between the two antenna ports of your modem, instead the two 50 ohm coax cables are just joined together at a single connector.- The transmitter of each modem radio is transmitting into the transceiver of the other radio. This can burn-out the transmitter or at the very least overload the RF input of the receiver. Not only that, this also prevents both ports from transmitting or receiving simultaneously, thus reducing data speeds to that of simplex mode. - The impedance of the load to the antenna system becomes halved. These modems are designed to drive a 50ohm load. By paralleling the antenna sockets, the modem and antenna will be seeing a 25ohm load, which causes very high SWR and resultant antenna mismatch. This means that the signal strength the modem sees will be reduced by at least 3dB. - The modem is still "seeing" just one antenna, thus will still only operate in the slower 4G SISO mode and will not take advantage of the 3G Antenna Diversity mode. - A Further 1-3dB reduction of signal strength due to the simple physics of splitting the signal in half. The resultant signal could be reduced by 6dB compared to using a single patch cable. Do I need MIMO antenna or will a Single antenna do ? A single antenna will connect to 4G/5G services in "single input single output" (SISO) mode. Most 4G services in Australia are MIMO enabled, thus a Dual/MiMo type antenna will allow access to the higher data speeds available in MiMo mode. More stable connectivity even in SISO mode in areas of low signal strength and/or where the signal varies with environmental conditions throughout the day, seasons and weather conditions. Also effective at reducing the effects of dual signal paths over water as the tide rises and falls. There are rare situations where an installed outdoor antenna may result in no change to, or even lower data speeds compared to just using the modem indoors. This can occur with later modems capable of Category 6 (and higher) connection protocol. Modems such as the Netgear Nighthawk M1 use 4x4 MiMo antennas internally but have just 2 external antenna ports. External antennas will limit the connection mode to 2x2 mimo, thus only 2 data steams will be possible. It is possible that a low signal 4x4 connection can operate faster than a 2x2 connection of full signal strength. For all 3G services, you can install just one antenna to improve the connection. Regardless of your modem's capability an appropriate single antenna, mounted vertically polarised will connect to 3G services. If your modem has two antenna sockets, plug the antenna system into the MAIN antenna socket (Port 1). Older 3G services cannot make use of a dual antenna system. With a single antenna the modem will run in 3G-UMTS/HSPA/WCDMA mode as available from the cell tower. More stable connectivity in areas of low signal strength where the signal varies with environmental conditions throughout the day and/or seasons. Especially helpful where the signal path is obstructed by buildings or mountainous terrain. Also helps to reduce the effects of dual signal paths over water as the tide rises and falls. The modem will utilise Antenna Diversity mode, picking the best antenna signal automatically as the signal strength and polarity changes with conditions. MIMO = "Multiple Input Multiple Output"
SISO = "Single Input Single Output"
What connection is fitted to coax cables and patch leads ? Our antennas and antenna coax are fitted with SMA type connectors which for some time has been the industry standard for fixed-wireless router/modems. FME connectors are also used as the final antenna connection which suits common Mobile Phone and Modem Patch Leads. Many 3G Router/Modems have SMA connectors. 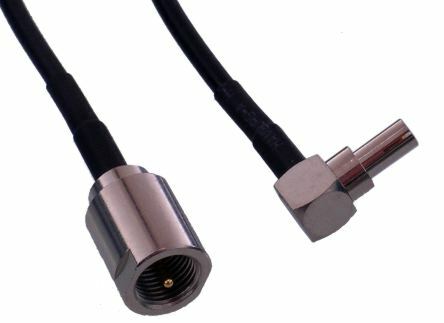 We include with our antenna kits the required adaptors to provide both SMA male and FME female final termination, when a coax is ordered with the antenna. The example to the left is a TS9 type patch cable required for many modems. Our patch cables are supplied with an FME male connection. Some Patch Cables may include an adaptor. This example is a SMA male type patch cable required for Smart Antenna and many Netcomm and other router/modems. 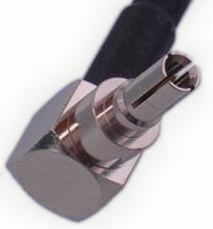 The patch cables are supplied with two SMA male connectors and an FME male adaptor. 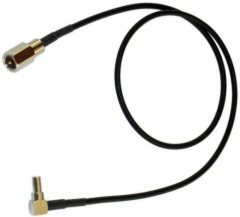 Most of our antennas come with an SMA male connector. This allows direct connection to our antenna coax cables or router. 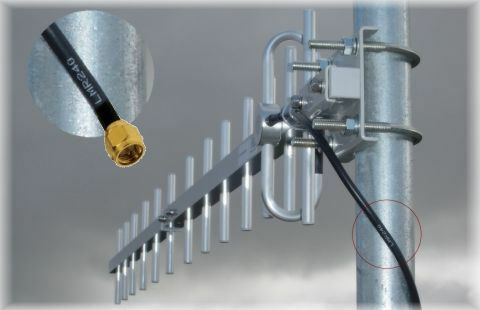 Magnetic Base and Vehicle antennas normally have FME female connectors since they are intended for mobile installations were no additional coax is required. To fit our antennas to OEM coax cables that have N-Type connectors, you'll need to use an Adaptor. 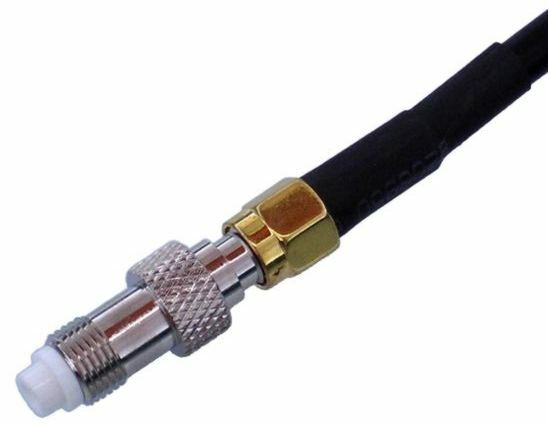 Our antenna cables (LMR400 shown) come with SMA female connectors each end. This allows direct connection to our antennas and to a wallplate insert cables or router. Where the kits are ordered with only one coax cable, and FME final termination, a FME female adaptor may be supplied as required. Wallplate inserts are available for SMA cable connectors. Shown at left is LMR400 fitted to a standard Clipsal Wallplate insert. Do I mount theses antennas Vertically, Horizontal or on a Slant ? You may have noticed forum discussions and websites showing yagi's mounted horizontally or on an angle to improve reception. 3G services in Australia and NZ use single-channel, vertically polarized RF antenna systems. This is a standard used in Europe and Asia. Not used in AU or NZ. Newer 3G services have their antennas "Slant-Pol" for WCDMA, HSPA and DC-HSPA+ Dual-Channel services. In Australia and New Zealand, 4G and 5G LTE services use an X-pol antenna system. In USA and some EU countries the MiMo polarisation is H-V. Which Polarisation should you mount my antenna kit? - Separate antenna connections for each antenna half - Antenna Diversity mode. - Two antenna connections for each antenna section - MiMo mode. Which antenna do I need ? Yagi-uda antennas use parricidic director and reflector elements to achieve the high gain, thus are by design, narrow band. Thus you will see that our 16dBi Yagi antenna covers only 850MHz and 900MHz. The manufacture rates the gain as 16dBi on 900MHz but the practical performance on 850MHz will be lower. Often referred to as a "Yagi" by the layperson due to their similar appearance, Log Periodic antennas are actually a Driven Array, by design have a lower peak gain but can perform better than Yagi antennas due to their very flat Gain vs Frequency characteristic. These can cover a number of bands. Our LPDA antennas are Dual-band, covering 698-960/1480-2700MHz with slightly reduced response up to 3.6GHz also By nature being Wide-Band but Low -mid Gain. There are many different types of Panel type antennas for 4G. Some are high gain designed for one or 2 bands, others may be lower gain covering all 4G bands. Omni antennas have equal gain in all directions on the horizontal plain. As a result they are limited to a useful gain of about 9dBi. Higher gains are possible however the beamwidth becomes too narrow for most practical applications. Which antenna should you get? If you are struggling to get enough signal for 3G/4G, you will need the highest gain antenna with the Low-Loss LMR400 Coax Cable option. Locations with poor outdoor mobile signal usually only have access to the lower frequency bands as these travel further and are less attenuated by rough topology. High-gain antennas designed for 700MHz (B28), 850MHz (B5) and 900MHz (B8) such as our 15dBi 4G 4GX 3G 700/850/900MHz Parabolic Grid Antenna will be needed. More information on our Australian 4G Bands FAQ page. If you get 2-3 bars of outside or up on the roof of the building, you can go for a lower gain, wider band antenna such as the Dual MiMo 14dBi 4GX 4G All Band Antenna kit will also connect to the upper 4G bands is available. If the OUTDOOR mobile broadband signal showing on the modem is about 3-4 bars without an antenna connected, the 11dBi All Band LPDA Antenna would normally be sufficient. Poor-Fair signal locations: Always use LL400 (LMR400) coax cable. Fair-Good signal locations: LL400 (LMR400) coax cable is recommended for cable runs greater than 5m. Good-Excellent signal locations: LL400 coax cable is recommended for cable runs greater than 10m and when installing lower gain Omnidirectional antennas. Australian Telcos are updating selected 4G services to 5G specification. A 5G capable device is needed to connect to 5G. Our LPDA antennas also cover the extended 850MHz, the new 1500MHz and, at slightly reduced gain the 3.6GHz bands. Upgrade to 4G equipment to use 4x4 (and higher) MiMo rather than the existing 2x2 MiMo. Implement a new, faster type of encoding called OFDM. More seamless integration with existing WiFi networks. Re-farming of existing 3G bands to 5G. Adding new bands specifically for 5G, *1500MHz, ~3600MHz and a *26GHz band are proposed. Extension of the unused band gap between B28 and B5 (803-824) to extend the 850MHz band. To locate cell towers near you, feel free to follow our Online Guide. Caravan and Camper 3G and 4G Antennas. Picking the best 3G or 4G antenna for use on a Camper or Caravan is often a very subjective task. It usually comes down to a compromise between convenience and performance. Consider whether download Speed or Connectivity is most important. Rural services run on the lower frequency bands of 700, 850 & 900MHz. These lower bands travel further than the higher 4G/5G bands. Optus/Telstra 4G 700MHz (B28), Telstra 3G 850MHz (B5), Vodafone 3G/4G 850MHz (B5), Vodafone/Optus 3G 900MHz (B8). Unfortunately the highest gain antennas such as Yagi-Uda, Parabolic Grid or LPDA types are really only suitable for Fixed installations and being directional, need to be aimed at the cell tower to work. Some times you may be camped at a location for only a day or two, other times you may have set up base for weeks or even months. The type of antenna you install can depend upon your willingness to disassemble/erect an antenna each time you relocate. - Allows pinpointing a particular cell tower. - Normally need to be removed/disassembled for travelling. - Take up space when packed. - Need to be aimed at the cell tower. - Can be permanently mounted on vehicle for travelling. - No need to aim, will pick-up signal in all directions. - Unwanted RF noise and interference will also be received. - No control over which cell tower the device will connect to. Best Convenience - Install an omnidirectional antenna. Best Performance - Install a directional Parabolic Grid or Yagi antenna. The 16dBi 850/900MHz Yagi is two-piece and will pack away to a length of less than 960mm. You'll need to mount and aim the antenna system each time you relocate. Many "nomads" choose to have both. The omni for general use and have the higher gain directional antenna on hand for weak signal areas and/or long stays. By installing two Omnidirectional antennas, your modem will be able to operate in Antenna Diversity (AD) mode. The modem will select the antenna with the best signal providing a more reliable connection when mobile and stationary in poor signal areas. Maximum download speed is not effected but speed improvements can be had simply because the modem will have a more reliable connection. For 4G services, two antennas allow the modem to connect to the cell towers in MiMo mode, doubling the speed capability. The type and length of coax cable fitted to an antenna system will determine the amount of signal lost in the process of coupling the antenna to your modem or phone. Use the estimator below to calculate the expected signal strength your modem will see. Suited to Mobile, Vehicle and Fixed-Wireless installations such as Cars, Trucks, Motor-homes, Office buildings and Homes. When ordered with our antenna kits, we ensure that the whole thing fits together and will include gender-bender where required. Double shielded by one layer of Aluminium foil and one close-knit copper braid make for a low-loss coax. Its low signal attenuation figures make it well suited for use at Cell Phone frequencies. Other equivalent prefixes include CLF, KMR. Application: Mobile and Vehicle installations of less than 1m Mobile, Vehicle and Fixed wireless installations of 5-10m in moderate signal areas. <10m in low signal areas. The LMR series coax cables are made with low loss Dielectrics (2) and Double shielded with Aluminium Foil (3) and 95% Tinned Copper Braid (3). The outer plastic cover can vary from soft plastic to hard uv rated PVC. This makes for a very low loss cable suitable for long runs at the microwave frequencies used for 3G and 4G mobile phone services. All our antenna kits are supplied with LMR195, LMR240 or LM400 equivalent as required. Many of our Patch Leads use LMR100A rather than the more lossy RG174 commonly available. In general, RG series coax such as the common 50 ohm RG85U uses a more lossy Dielectric (2) and only 70% single layer outer shield (3). These cables are not rated for use above 1GHz and are not suitable for use with cell phone antenna systems at cable lengths over about 1-2m. RG174 is used for most Patch Leads for its flexibility. RG174 is more lossy than the LMR100 coax we fit to our Patch Leads. This can make a difference at higher cell phone frequencies. TV and Satellite antenna systems use 75ohm RG6 and the less common lower loss RG11 coax cables. These are high quality coax cables but unfortunately not suitable for mobile phone and wireless internet antenna systems. The N, SMA and FME type connectors used for 3G/4G antennas are not compatible with the RG6/11 coax. RG6/11 coax is 75ohm which will cause a high SWR if attached to the 50ohm Modem and 3g/4G antenna system. This impedance mismatch can cause damage to modems due to the high level of reflected power at the 50ohm/75ohm junctions. Poor performance, depending on the real-world antenna impedance may result. Thus we do not guarantee the performance of our antenna systems when used with the incorrect coax cable. Omnidirectional antennas achieve higher gain by flattening out the "doughnut". - Higher gain, providing more "bars" of signal. - Less interference from the side and from behind the antenna. same Signal Strength of omnidirectional antennas. may have less traffic load than your closest tower. - Must be aimed at the cell tower. - Not suitable for Mobile Installations. If you're constantly on the move you need an antenna that can connect to cell towers in any direction. Vehicle speed, terrain changes and boat angle/movement effect the angle of the antenna, causing reliability issues with higher gain antennas. - No need to aim at the cell tower. - Ideal for Mobile Installations. - Lower gain, providing less signal. - Wanted and unwanted signals collected equally from all directions. There are several scenarios for Motor-Homes, Caravans and Campers. Directional antenna will be best as this can be treated as a Fixed Wireless installation. B. When you are shifting location only about a week or so. These situations call for something that is high gain to give you the best signal in remote locations, and omnidirectional, giving the flexibility to just plug your phone/modem in and get connected. Unfortunately, no such antenna exists. To achieve say 16dBi gain, you need a directional antenna, and an omnidirectional antenna is limited to 7 or 9dBi. Here we recommend installing both a permanently mounted 7.5 dBi Fibreglass whip and also have available a 16dBi Yagi and pole for situations where the Omni just does not quite give you enough signal when in remote areas. C. When your constantly travelling, only staying at a a location for one or two nights. Unless you are preferred to setup a pole and mount the Yagi / LPDA directional antenna every night, you need and the convenience to just plug your phone/modem in and get connected. The difficulty with marine installations is that the best antenna for calm water is different to that for rough seas. A 850/900MHz 3G signal will travel further out to sea than 4G LTE 1800MHz. The affect of the curvature of the earth takes effect at about 30km depending on the height of the cell tower antennas. The higher your antenna is, the farther the signal can reach. 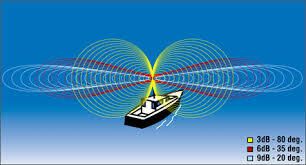 The angle of the antenna and azimuth of the boat is constantly changing and can be quite acute in rough seas. The lower gain , top-loaded 3dBi marine whips are best. And with two antennas to suit 4G and 3G modems with the two antenna ports your modem will help stay connected in rough waters. If you only want to support in calmer waters then the higher gain marine/vehicle antenna will do well. How does signal strength translate to download an upload speeds ? Signal Strength: How many "bars" or "dBm" are showing on your device. Signal Quality: how "clean" the signal is. Improving signal strength to your device is normally the best way to get a better connection to your 3G or 4G service. Generally speaking, Improved Signal Strength = Increased Data Transfer Speed. Think of these antenna kits as being a device that removes one of the "weak links in the chain". Installing a high-gain directional antenna improves the signal strength and the signal quality by collecting more of the intended signal from the tower and less interference from neighbouring cell towers, other transmitters and background RF interference. Speed of data transfer: is it fast, smooth and consistent? Stability: does the modem stay connected, without dropping out or downloads stalling? Although there tends to be relationship between signal strength and signal quality, signal quality and connection quality are more closely related. Modem will spend less time performing error checking and error correction tasks. Modem will not repeat downloads of data packets when it cannot correct errors. Thus the modem will have more time available to download/upload data. During Peak-Load times your Modem/Phone will be allowed to stay connected to the cell tower while customers with lower quality connections will be dropped or speed limited. The cell tower decides this automatically based on a complex algorithm mostly influenced by the quality of the connection. The transmit power of your modem will be lower, using less power and running cooler. There are other factors that we have little control over. - Backhaul: How fast can the data get to/from the Cell Tower by the Telco's own microwave, fibre links..
- How many licenses (data pathways) does the Cell Tower have installed. - How many customers (aka subscribers) are tying to use the service especially at peak periods. - Optus and Telstra re-sellers may not be allocated a teir-1 priority service. Thus customers of re-sellers may not get the same speed and connection quality as a customer of the originating Telco. - The type of Plan you have. Some SIM plans are speed limited. - The specifications and quality of the modem/phone you have. - Your location to the tower and how many other connection sources are available for your modem to connect to. - Using a 4G MIMO antenna with a 4G MIMO modem (2 antenna ports) allows your modem to operate in MIMO mode if the Cell tower is MIMO enabled. Not all towers are 4G MIMO capable, thus using a MIMO antenna does not always guaranty higher speeds. You will get higher DL speeds only if the Cell Tower is capable of doing so. Q: So.. how does signal strength translate to download an upload speeds? Q1: What situations would show no or only little improvement after installing an antenna.? A: Not many, but there are odd occasions where things don't work out. Notwithstanding the telco side issues listed above. When the signal path from your location to the tower is over water, the signal reflected off the waters surface can interfere with the direct signal causing fluctuating signal strength and/or unstable connection. When there just isn't have enough signal no matter what antenna you use. Where there is not a strong signal from the direction of the tower, rather the modem is seeing a combination of reflected, refracted, diffracted and direct signal from one or a number of cell towers, possibly ever-changing. Where your signal quality is already good, improving the signal strength may make no difference to download speed. Q2: I have good signal strength but my modem still drops out and the data transfer speed is too slow, what gives? Modem is being used inside a building without an external antenna. The modem may be constantly dis-connecting and reconnecting to different towers or even different services and/or bands on the same tower, not ever connecting to any service properly. Here the aim of installing a high-gain directional antenna is to fix the signal quality issue rather than signal strength. What is the maximum range of these antennas ? Factors that Determine Antenna Range. Obstructed path from Your Antenna Position to the antennas on the Cell Tower. These include hills, mountains, forest, scrub, buildings etc. This is called Line-of-sight . Any obstructions will cause signal degradation and the higher frequencies are most effected. The lower frequency 3G bands of 850 and 900 can refract (bend) around obstacles to some extent, often enough to get quality signal to your location. The higher frequency 3G bands of 2100 and 4G 1800 generally require direct line-of-sight. Exceptions to this are if you are very close to the cell tower or the signal is reflected of an obstacle. The bigger the obstacles, and more obstacles there are in the path, the less signal you are likely to see at your location. Bodies of water also cause problems that may reduce the signal strength. Atmospheric conditions such as "solar radiation" when the sun is in the direct path of the antenna alignment to the tower. This electromagnetic "noise" can cause connection drop-outs. The curvature of the earth creates an obstacle to the signal path over distances greater than about 26-30km. Most effect when over, and least influence when the cell tower and your location are at high altitude with a valley in-between. In practice the maximum distance could be around 75km for 3G 850MHz and about 40km for 4G 1800MHz. The Mobile Phone Cell Towers themselves have a maximum range built into the software configured by the service provider. This is the maximum time it takes for the handset to respond to a request from the cell tower, beyond which the tower will reject a connection. The intention of this is to restrict the tower from being oversubscribed. Rural towers may be set to a "Service Window" of 135km. Metro towers may be set with a service area as low as 30km. Whilst the tower power may be 20W or even over 100W, a Modem/Phone will only transmit at a maximum of 0.25W or 23dBm. An 11dBi antenna, being a lower gain having to cover many bands, will not have the same range as a 16dBi Yagi antenna that targets a single band. Getting a strong signal and solid connection to the cell tower is only half the battle. The most common problems experienced by our customers are that either the antenna has been pointed in the wrong direction, is the wrong antenna for the task or there is just no service available. 1. Check that the antenna you have is designed for use on the same band that your modem is using to connect. 2. Double check your order to ensure you have ordered and been supplied with the correct Patch Lead for your Modem or Phone. If in doubt, please contact us including a clear photo if needed. 3. The first step is to ensure that you have the correct antenna for your service and that you are pointing it in the right direction. If not already done so, please familiarize yourself with the towers and their frequencies. Instructions can be found at locate.onwireless.net . More info can be found at faq.onwireless.net . 5. If still no luck, please fill out our assistance page by clicking the link below. This form provides us with much of the info that we need to assist you to solve you antenna system trouble. I'm having trouble getting my antenna to perform. The 3rd generation of mobile telecommunications technology. 3G uses the UMTS or "Universal Mobile Telecommunications System" mobile cellular system for networks based on the GSM standard. Developed and maintained by the 3GPP (3rd Generation Partnership Project), UMTS is a component of the International Telecommunications Union IMT-2000 standard. UMTS uses wideband code division multiple access (WCDMA) radio access technology to offer greater spectral efficiency and bandwidth to mobile network operators. In Australia the term "3G" is used to market any service using UMTS, HSPA, HSPA+ or Dual Carrier HSPA+. Optus 3G is simply any of their UMTS services on 900MHz and 2100MHz. Vodafone 3G is anything from UMTS to HSPA on 850,900 and 2100MHz. Their new 3G+ service being DC-HSPA+ on the 850MHz Band. Dual Carrier HSPA+6 on the 850 and 2100MHz bands. Handsets transmit at lower power to achieve the same connectivity. A 3G phone needs to output only 1/8 of the power to perform the same function as a GSM phone. 42Mbps with the new DC-HSPA+ services. - Although superior in range to GSM, the earlier 3G services, and those in metro areas used the 2100MHz band which is considered a short-range band due to its high frequency. and the 850MHz band by Telstra and Vodafone. Next G is a 3G network operated by Telstra in Australia on 850 and 2100MHz. Next-G, really a "3.5G" network, was launched in October 2006. By December 2008 the Next G Network was the fastest mobile network in the World, delivering theoretical network speeds of up to 21Mbit/s utilizing features of HSPA+ and Dual-Carrier HSPA. In February 2010 Telstra increased the speed of some services to 42Mbit/s using Dual Carrier HSPA+ technology. Next-G is currently used for BigPond's wireless broadband service and Telstra Mobile, which is Australia's largest mobile telephone service provider. In September 2011 Telstra launched its 4G 1800 Mhz LTE network, claiming typical download speeds of up to 40Mb/s. What is HSPA+ and DC-HSPA+ ? HSPA+ is an enhanced version of high-speed WCDMA (UMTS) based 3G wireless networks. Being built on 3G, HSPA+ is often referred to as 3.5G. In June 2008 the Telstra Next G network was the first to enable some features of HSPA+. In Australia, HSPA+ provides theoretical maximum downlink data rates3 up to 21Mbit/s and uplink data rates up to 5.8Mbit/s when connecting with 21Mbps HSPA+ capable devices. Actual data rates will be much lower, being dependent upon the number of customers connected to a particular tower, the back-haul7 data rate, and the quality of the connection to the mobile phone tower. In Australia, DC HSPA+ is able to achieve downlink data rates3 up to 42Mbit/s and uplink data rates up to 14.4Mbit/s when connecting with 42Mbps DC-HSPA+ capable devices, Through the use of a multiple-antenna technique known as MIMO (multiple-input and multiple-output) and higher order 64QAM modulation, combining multiple cells into one. A typical DC-HSPA+ Telstra tower will have two sets of Receive and two sets of Transmit antennas. Each of these sets has slant-polarized antennas at ±45º rather than the vertically polarized antennas used with the original 3G standard. In addition, to cover an area 360º around the tower, there may be 3 sectors, each spaced 120º apart, each with their own Cell-ID, providing their own data service. Note that the antennas may only be aimed in one particular direction, and there may only be one or two sectors, in situations where the carriers has seen fit to not provide service in all directions. Carrier B: 3 pairs of sectors: 840.0MHz for Receive and on 885.0MHz for Transmit polarized at -45º. Note also the Emissions Designator for Telstra nextG services on 850MHz always ends with *7WEC. Also on this tower is an Optus 3G 900MHz service identified by the Em Des ending with *G7W. The net isolation between antennas is 90º so that each carrier can operate independently. Likewise, to connect at full speed to a DC-HSPA+ wireless internet service, your modem will need to have two separate physical antenna ports connected to Dual Antenna systems commonly called "slant-pol" or "MIMO" antennas. Our 16dBi Yagi Kits are perfectly suited for the DC HSPA+ service provided by Telstra next G and Vodafone 3G+. Highlighted in the extract from the ACMA radcom website below are one recieve (Rx) channel of a DC HSPA+ service. The other Rx Channel is shown underneath it at 840.0MHz. These two channels have antennas that are slant-polarized at 90°apart. The corresponding transmit (Tx) channels are shown at 884.8MHz and 885MHz. What is 4G and LTE ? 4G is the fourth generation of the mobile phone communications standard, a successor of the third generation (3G) standards. "LTE" stands for Long Term Evolution and 4G LTE is an advanced 4G service built on 3GPP Long Term Evolution technology. Optus 4G services use the 700MHz (B28), 1800MHz (B3), and 2600MHz (B7) bands. Optus also has TD 2300MHz (B40) licenses it acquired when it took over VividWireless. Vodafone installed their new 3G+ service and a 4G LTE service simultaneously. Some cell towers may have both 3G, 3G+ and 4G services on the same band. 4G services use the 850MHz (B5) and 1800MHz (B3). With the merger of Vodafone with TPG it is expected that Vodafone will implement 4G/5G on the 2600MHz (B7) licenses currently unutilised by TPG. For full speed 4G LTE, you'll need a MIMO Antenna system. What are the Categories of 4G and 5G ? At time of writing there are 20 different LTE UE categories defined. The table below lists the most common. The speeds listed are maximum theoretical. The practical speeds will be lower, subject to many other factors. Maximum data rates shown are for 20 MHz of channel bandwidth. Categories 6 and above include data rates from combining multiple 20 MHz channels using Carrier Aggregation. Maximum data rates will vary between Service Providers as different bandwidth is utilised. What are the Australian 3G frequencies ? The information provided is current at time of writing and subject to change without notice. What are the Australian 4G frequencies ? 4G Carrier Aggregation Up to 4 bands simultaneously depending on modem category. 1 Telstra has branded its 4G CA (carrier aggregation) service as "4GX" although 4GX also refers to just the Telstra 700MHz (B28) service. What are the Australian 5G frequencies ? How Much Signal is a Good Signal? -112 ↓ -12 ↓ 7 ↓ Poor Dramatically lower data speeds and regular disconnects. May not connect. This is not a significant measurement for 4G although most modem firmware will return a value for 4G. RSRP is a RSSI type of measurement. In simple terms RSRP measures just the usable portion of the signal thus is a more accurate measure of signal strength than RSSI as it excludes interference and noise on the connected network. RSRP value will normally be a lower (more negative) value than RSSI by about -20dBm. RSRP is the main parameter used to make ranking among different candidate cells in accordance with their signal strength. Generally, the reference signals on the first antenna port are used to determine RSRP, however, the reference signals sent on the second port can also be used. RSRQ indicates the quality of the received reference signal. Used as additional information to make a reliable handover or cell re-selection decision when RSRP is not sufficient. -75 to -83 -5 to -9 -2 to -5 Good Normally no problem. -85 to- 95 -9 to -12 -5 to -10 Fair Workable under good conditions where interference from neighbouring towers is not present. Could suffer poor data speeds and occasional dropped connection. -97 to -113↓ -12 ↓ -10 ↓ Poor Dramatically lower data speeds and regular disconnects. May not connect. RSSI is a dBm signal strength indicator of the wideband signal for the full band to which the device is connected. RSSI is more useful for 2G/GSM signal strength measurements. The pilot channel power level received by the mobile handset or modem for the connected cell (code signal). Different cells using the same carrier are compared using this value to make cell re-election and cell handover decisions. Energy per chip (Ec) to total received power (Io) ratio. This is the ratio between the connected code signal (RSCP) from the cell tower and the total noise, interference from other towers and non code signals (RSSI).Higher (less negative) values can indicate a better signal quality. However EC/Io is often misleading due to the nature of the interfering signals, and varies with the number uf users connected to the cell. This value is less than 1 and negative when expressed as dBm. The ID number of the Cell tower. For Fixed Wireless installations, this value should not change. If Cell ID changes at particular times of the day, especially at peak hour traffic times, this indicates that the tower you normally connect to may be over loaded/oversubscribed or changing environmental conditions result in the strongest signal is coming from an alternate tower. The above signal values vs Connection Quality tables are intended as a guide only. Different sources suggest slightly different values. Every attempt to present as accurate info as possible has been made and no responsibility is taken by remoteone for errors and/or differences to other references. If you spot an error please let us know. RSRP is a more accurate measure of signal strength than RSSI, as it excludes noise and interference on the network. It measures just the usable portion of the signal. Although the 4G RSRP signals appear lower, it does not mean your signal level is worse. Maps show current Telstra coverage based on expected speeds rather than service type. Maps show current Optus coverage for single and dual band 3G and the new Optus 4G service. The Virgin Mobile network uses the Optus network. Click here to view: Kogan Mobile Coverage Maps Kogan plans resell Telstra's wholesale mobile services. Click here to view: Boost Mobile Coverage Maps Boost Mobile plans resell Telstra's wholesale mobile services. The NBN Fixed Wireless service is being rolled out to households outside the proposed fibre optic areas and it is estimated that about 4% of Ozzie premises will have access to this fixed wireless service. The service uses advanced technology similar to LTE or 4G on 2300MHz, with wireless internet connection speeds up to 12Mbps download & 1Mbps upload. NBN contracts to Skymesh for its Fixed Wireless services. Hardware is supplied by NBNCo. Hardware includes an outdoor roof-mounted antenna/modem with network termination inside the building. Thus we do not supply antennas for NBN equipment. More Info. Click here to view the NBN Rollout Map. A visual guide to the the XT network's 3G mobile voice & data coverage areas for 97% of kiwis. At time of writing, no detailed maps were available on the telco's website. Celcom uses the 900MHz but mainly the 1800MHz band for GSM and the 2100MHz band for their dual-channel HSPA+ 3G network. The Celcom 3G network provides speeds of up to 42Mbps. YES uses the 2300MHz for their 4G WiMax network. P1 uses the 2300MHz for their 4G WiMax and aG TD networks. P1 also has licences in the 2.6GHz band that may be put into service at some future date. I live close to a phone tower but get poor signal.. whats with that? Why do I get poor signal from the mobile phone tower located just next door. There's a number of reasons why this could happen. Most commonly, the problem is to do with the characteristics of the antenna on the phone tower. Your location may be higher or more commonly, lower than the direct horizontal signal path from the cell tower antenna. Cell Tower antennas have a very narrow beam-width to enable the signal to reach a long distance. While the design tries hard to distribute the signal equally to all locations, this is often difficult to achieve, with some customers very close the tower missing out on signal. The further you are from the tower, the lower the signal strength. As you get closer, the signal strength normally increases. Counteracting this, is the reduction of transmitted power available as your vertical angle becomes more accute. Are 3G Signal Boosters legal in Australia ? There are currently only a few models of signal booster that may legally be used in Australia. One model approved by the telco's is the "Cel-fi Repeater". These boosters are legal because they have passed the criteria required to ensure that their use will not affect other cell phone users. Put simply, the Cel-fi is not just a signal booster, but an intelligent mobile phone device in its own right. Just like your modem or mobile phone device, the Cel-fi device actively communicates with the cell tower. The tower measures the power of the signal coming the Cel-fi transmitter and sends commands that adjust the power output. The cell tower is in control of the Smart Antenna's power output. Of course its much more complicated than just that, but this is primarily the reason why these boosters are legal. The Cel-fi Smart Repeater has the ability to attach an external Antenna to further increasing the quality of the mobile phone connection. Full details and specifications for the legal Mobile Phone repeaters are available here. Why are boosters illegal in Australia ? The ACMA has declared mobile phone boosters as a prohibited piece of customer equipment under the Telecommunications (Prohibition of Mobile Phone Boosters) Declaration 2011. A quick search of the web will reveal that there are more than one 3G, GSM and 4G boosters available. Some are on eBay and others are offshore ".com" websites. These sellers don't tell their customers that if they use these boosters in Australia they will be breaching the Radio-telecommunications Act 1992. Also, Australia has significant Consumer Protection laws against sellers intentionally misleading their customers. Thus you'll notice that the above website is not end with ".com.au" meaning that this is not an Australian website. Active Boosters are illegal in Australia for very good reasons. Certification of devices to meet criteria such as Harmonic distortion, interference to adjacent channels and power output to name just a few. Determine that the device will operate within the regulations laid out for the Australian Radio-frequency Spectrum. Feedback from poorly installed boosters can make the RF stages unstable, causing transmission of very high power RF on the 3G network bands. The cell tower will lower its power output automatically in response to seeing high power "handheld" signals. As a result all other customers that normally use this tower will be affected by lower signal strength and less ability to connect to the affected tower. There are a number of Emergency services using similar services on adjacent RF bands. An unstable repeater can generate spurious emissions, not only on the intended 3G frequencies but across a very wide range, effecting emergency service communications as well as other 3G phone users. Local signal nulls and interference to neighbouring services. Signal Nulls can be created due to the fact that the same Cell ID is being re-transmitted at a second location, creating "interference bands". What happens if I get caught using an illegal booster ? The maximum penalty for operating an unlicensed transmitter, in this case an illegal 3G Signal Booster, in Australia is $250,000.00 or up to two years imprisonment. The ACCC has recently announced that it intends to increase the powers of Australian Customs to confiscate and fine those importing illegal signal boosters into Australia. How can Telco's find tell that someone is using an illegal booster ? Any telco can easily track down the source of transmitters that are interfering with cell tower operation. With today's technology the software that runs the cell phone system simply logs the data to a report. The technician will have in a matter of seconds, all the information needed to pinpoint the exact location of the interference based on triangulation between sectors and time domain measurements between the tower and the devices attached to the booster. How to access the Apple iPhone Field Test mode. Note that you can put this number into the contacts list but you cant dial it from there. You'll need to copy-paste it to the keypad. Which Band or Frequency is your phone is using. This is for 3G connection info, the GSM Cell Environment is useful only when connected to a GSM or EDGE service. On this screen you'll see the 3G info. Scroll down until you see the Downlink Frequency or Uplink Frequency line. Enter the Uplinlk and Downlink codes into the calculator below. Find the Cell Tower MCC, LAC and Cell ID your phone is connected to. The Cell ID, Location Area Code (LAC) and Mobile Country Code (MCC) can usfull in diagnosing connection problems. Scroll down until you see the Cell ID line. It will be a hexidecimal number like "af0f4aa"
Go back to Field Test main screen. You have accepted a quotation and wish to formalize the order. Please Contact us immediately with any questions. Please Copy and Paste the bank account details shown at the bottom this invoice when making an internet banking transfer. If you've already make the payment by bank deposit, please check your bank account statement to confirm details. If you've already paid by PayPal or Credit Card, please Contact us and we will check the status of the order. Shipping, when will my order arrive ? Orders shipped by standard post are dispatched within 2 business days, (most often the same day) after receipt of payment. Express Post items are dispatched same business day if ordered before 2:00PM South Australian time. Orders are shipped by Australia Post eParcel or Express eParcel with the exception of items shipped directly from our other warehouse(s). Shipping fees include handling and packing fees as well as postage costs. Handling fees are fixed, whereas transport fees vary according to total weight and/or volume of the shipment. We advise you to group your items in one order. We normally do not group multiple distinct orders placed separately, and shipping fees will apply to each of them. Very special care is taken to protect all items during packaging. Boxes are amply sized and your items are well-protected. To calculate exact shipping costs, add your items to the cart, then proceed to checkout, all the costs are shown prior to finalising your order. Use the Shipping Estimator to calculate your shipping costs. Delivery time is dependant upon your location. eParcel Parcel Post: - 1-7 business days if ordered before 2pm Monday to Thursday. Australia Post does not deliver on weekends. Orders placed over the weekend or on public holidays will be dispatched on the next business day with normal delivery times applicable. eParcel Parcel Post has Tacking Number. Express eParcel has Tacking Number. Regular Post does not include insurance nor trace-ability. Should you have any problems resolving delivery of your order, please contact us via the Start Communication link shown on your order details page. If your delivery is not received within the times specified above, copy the tracking number from the invoice or eBay sales record and paste it into the Australia Post Parcel Tracking page. If goods are physically damaged upon delivery, please lodge a formal claim with Australia Post immediately, before leaving the Post Office. REMOTEONE take no responsibility for non-delivery of, or damage to items once they are handed over to Australia Post. We will not be held liable for losses incurred against items that have been shipped but not delivered. We are Australian distributors for all our products and provide full support and warranty for all products via the RMA (Return Merchandise Approval) facility built into our web site. Australian Law provides consumers with standard guidelines for Return Merchandise, please refer to the Office of Business and Consumer Affairs for more information. A: If you paid for your order via Paypal account or the PayPal credit card payment facility your refund will be transferred using the same account. B. If you paid by EFT (Direct Bank Deposit) your refund will be transferred by direct transfer to your account. 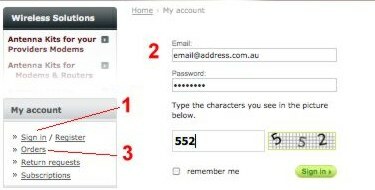 You will need to supply your account details to allow us to complete the refund. We do NOT send refunds via cheque. We will replace and ship any faulty item within it warranty period free of charge. You must first lodge a RMA Request prior to shipping the item back to us. Once we receive the returned item, we will test it for faults or other concerns as discussed. If the item is found to be not faulty, in perfect working order, we will return the item at the customers expense. In this case shipping costs will apply and must be paid prior to shipping. Non-Faulty item shipping costs can be paid here. If the item is found to be not faulty, in perfect working order, but we have, at our discretion decided to accept the return, a re-stocking fee (see below) normally applies and will be deducted from the refund. We may, after consultation, at our discretion, replace the item with a more appropriate item if available. The order balance will be adjusted to reflect the cost of difference of the alternate re-supplied item. Any additional payment required must be received before the re-supplied item(s) will be shipped. A re-stocking fee of is payable. Customer will be responsible for shipping costs of the re-supplied items. The original shipping cost will not be refunded. We must receive all items that have been approved for return/replacement in perfect un-marked and re-saleable condition. ALL original internal plastic, bag and other internal packaging must be returned in perfect condition. Copy of the original invoice and/or RMA approval MUST be included. ALL items must NOT be MARKED, CHIPPED, SCRATCHED, DENTED, BENT or ALTERED in any way from its delivered condition. ALL Mounting Brackets, U-Bolts, Nuts, Bolts, and other hardware MUST be returned (unless other arrangement has been agreed). The cost of missing or damaged items will either be deducted from the refund/credit or the whole return may be rejected. An RMA (see instructions below) must be lodged and items received in re-sale able and complete condition. The items will be returned to stock until we are contacted by the customer. If re-shipping is required, payment of the shipping cost to the (corrected) address is required. If no longer required, our standard re-stocking fee (see below) will be deducted from any applicable refund. Where applicable, the following fee applies for items ordered by mistake and non-faulty returns. $10 plus 10% of item total value of items returned..
To make a payment for the agreed balance of a replacement item, or return of non-faulty item, where no new order has been generated. Click here to make payment for the additional costs. As soon as we have recieved the payment , we will ship your item. 2. Sign-in to your account. 3. Go to My Account and click Orders. 4. Select the order in question. If agreed, we will have you ship the item back to us and inspect its condition etc. Packages are generally dispatched within 2 business days after receipt of payment. We advise you to group your items in one order. We cannot group two distinct orders placed separately, and shipping fees will apply to each of them. Special care is taken during when packing to protect items transport. Boxes are amply sized and your items are well-protected. To calculate exact shipping costs, simply log in, add your items to the cart, then proceed to checkout, all the costs are shown prior to finalizing your order. Use the Shipping Estimator to calculate your shipping costs. This fee will never be more than $20 but is rounded up to the nearest $2. For example, the Restocking fee for a $200 antenna order will be $20. If returning an incorrectly ordered Patch Cable (cost $17.90), the fee would be $12. Express Parcel International: - 5-14 business days with Tacking Number. RegisteredParcel International: - 7-22 business days with Tacking Number. If your delivery is not received within the times specified above, copy the tracking number from the Invoice and paste it into the Australia Post Parcel Tracking page. If you feel If goods are physically damaged upon delivery, please lodge a formal claim with Australia Post immediately. We take no responsibility for non-delivery of, or damage to items once they are handed over to Australia Post. We will not be held liable for losses incurred against items that have been shipped but not delivered. However, should you have any problems regarding delivery of your order, please contact us via the Start Communication link shown on your order details page. Please lodge a RMA Request prior to shipping the item back to us. If we are notified before the item has been shipped we will provide a full refund without fees. If already shipped prior to notification, we cannot alter the order nor provide any refund. The items will be returned to stock until we are contacted by the customer.. If no longer required, our standard re-stocking fee (see above) will be deducted from any applicable refund. As soon as we have recieved the payment , we will re-ship your item. 1. At time of writing. Subject to change without notice as new services are introduced. 2. Speeds are general, and either theoretical maximums, or carrier advertised speeds, intended as a guide only. 3. Some devices do not support maximum service speed. For example many devices operating on the 14Mbps HSPA service are capable of only 7.2Mbps DL speed. Devices such as the ZTE MF91, are capable of only 21MB/s DL on the HSPA+ network. 4. Rounded to nearest decimal point. Some areas have wider bandwidth than others, covers worst case. 5. Slant Polarised antennas consist of two separate antenna. One antenna being "tilted at -45º and the other a +45º from vertical. Towers supporting Antenna Diversity, Dual Carrier and/or MIMO systems. 6. In some areas the Telstra coverage map shows "4G" service where there is no 4G LTE 1800.
capable of up to 40Mbps download. carrier's microwave, fiber data link infrastructure. References: Amended with relevance to Australian services. We have just got one of your 11 dbi antennas with LMR400 cable, we have been using a 600mm black whip antenna for 5 years with normal coax and noticed our signal strength had dropped to medium and our mbs was sitting on .8 - 1.1mb download and 1-1.6mb upload, now with the new antenna, our signal is sitting on high and our download is 4 - 6 mb, and upload 2.3 -2.8 mb, such an amazing..."